Thanks for the great ratio of instructors to children and the structured activities and specific warnings/cues for what to do next and what is expected. Thanks also for the daily excitement and encouragement that was greatly emphasized by leaders. Our children need their attention and encouragement. Thanks for doing this to the glory of the Lord. Is it any wonder that this camp is so sought after? Miss Kay and team- I cannot begin to tell you how blessed my girls were for having been there here with you this week. 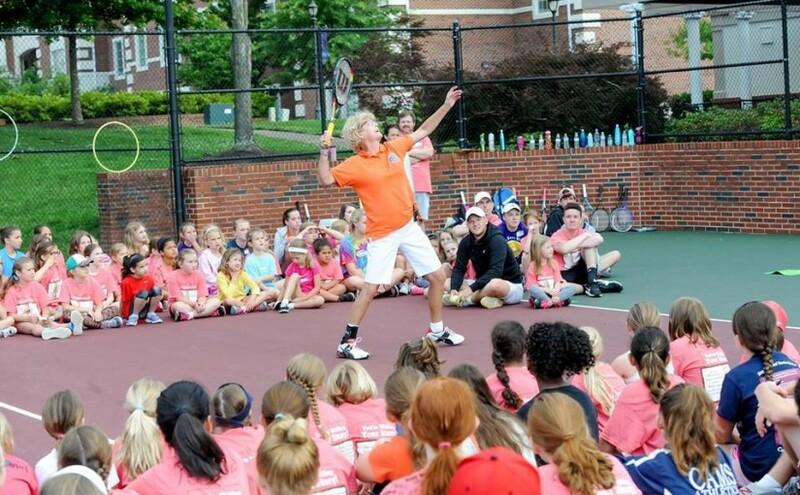 Ms. Kay provides such a warm & accepting environment for the entire family…not just tennis! My children had an amazing time. Thank you for all you do. Thank you Ms. Kay for making each child feel so very important and special. please come to this site and register him/her. (But there’s no guarantee your child will be accepted at that point since we fill up so quickly). * Bring a Tennis Racquet! * Wear Tennis Shoes Only! On Monday, June 3, come to tennis courts 15 minutes early to finalize the registration process and receive your free t-shirt. *The last day to cancel your reserved spot is May 15.
we ask that you don’t cancel after this date. offset some of the expenses paid.